April Gibson is a poet, essayist, and educator whose work has appeared in Pluck!, Valley Voices, Tidal Basin Review, Literary Mama, and elsewhere. She has received a Loft Mentor Series Award in Poetry, a Vermont Studio Center Residency, and is a fellow of the Callaloo Creative Writing Workshop, The Watering Hole Poetry Retreat, and a VONA/Voices Writing Workshop alum. Her chapbook, Automation, was published by Willow Books as part of their emerging poet and writer series. 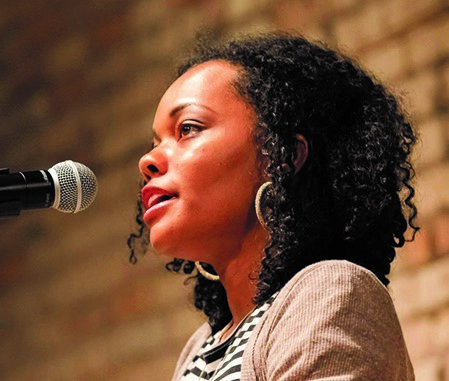 Her current project is a full-length poetry collection titled The Black Woman Press Conference.